Dr. Zhang joined the Department of Management and Marketing at Edwards School of Business as an Associate Professor in January 2007. His teaching and research interests include marketing strategy, international marketing, and entrepreneurship. He has published his research articles in Journal of Strategic Marketing, and International Journal of Knowledge Management. 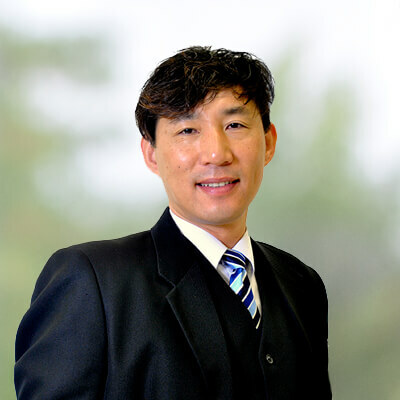 In addition to academic research, Dr. Zhang has industry experience in both the public and private sectors. He was involved with the rural entrepreneurship projects sponsored by the Manitoba Department of Agriculture. He recently received a $35,000 grant from the Alliance for Food and Bioproduct Innovation to study marketing strategy for agri-businesses. He is also a member of the International Centre for Northern Governance and Development. Swanson, Lee and David Di Zhang (2011, forthcoming) “Complexity theory and the social entrepreneurship zone,” Emergence: Complexity and Organization (Special Issue on Social Entrepreneurship). Abstract: Social entrepreneurship is a relatively new field of study. In this paper we examine Swanson and Zhang’s (2010) social entrepreneurship zone through a complexity theory lens. Complexity thinking can provide researchers with a new and fresh method of inquiry as they strive to enhance the research outcomes available through traditional research methods. In this article, we review literature on complexity theory and a range of social entrepreneurship typologies. We then apply a fresh and new point of view on social entrepreneurship by infusing a complexity perspective with the social entrepreneurship zone model while suggesting important research questions which can be addressed with this new framework. Abstract: The community pharmacy industry is an increasingly competitive sector, where independent pharmacies must compete with national and multinational chains for market share. Each pharmacy seeks to differentiate and earn customer trust. In this paper, we seek to better understand the effectiveness of differentiating via developing a unique corporate brand personality in the pursuit of customer trust. A survey was conducted in a small city in Western Canada. Patients who have recently filled a prescription were asked to assess their perceptions about the brand personality of the pharmacy they last visited, and evaluate how much they trust the pharmacy. Data were analyzed using SPSS and structural equation modeling (SEM). The results indicated that significant brand personality differences exist among various types of pharmacies. Customers rated independent pharmacies slightly more trustworthy than multinational mass merchandise and national chain pharmacies. Structural equation modeling analysis revealed that sincerity and competence have the most significant impact on building customer trust. The findings suggest that independent pharmacies may be able to differentiate themselves by developing a brand personality that is competent and sincere, whereby earn the trust from their customers. Our findings also suggest that a sophisticated appearance might be an expensive option that does not provide satisfactory return on the investment. Zhang, David Di and Edward Bruning (2011) “The personal characteristic of entrepreneurs and their strategic orientations,”International Journal of Entrepreneurship Behaviour Research, 17 (1), pp. 82-103. Abstract: Extant theories suggest that entrepreneurs’ personal characteristics have substantial impacts on their firm’s performance. From a resource-based view, we consider an entrepreneur’s personal characteristics to be a unique resource endowment to their firm. This paper investigates how entrepreneurs utilize such resource realize its benefits. Data were collected through a national survey of owners and senior managers of small- to medium-sized Canadian manufacturing companies. Mediation relationships were tested with hierarchical regression analyses. Consistent with our hypotheses, we find entrepreneurs’ personal characteristics, such as need for achievement, need for cognition, and internal locus of control, to have positive influences on firm performance. Furthermore, we demonstrate that their strategic orientations mediated these influences. Our data indicate that entrepreneurs with higher levels of internal locus of control are more likely to adopt an entrepreneurial orientation than a market orientation. This paper helps to better understand why entrepreneurs make different strategic decisions under seemingly similar competitive environments. Our findings suggest that entrepreneurs do not simply react mechanically to external environmental changes. Instead, how they seek and interpret information and formulate organizational strategies is partially influenced by their personal characteristics. Entrepreneurs develop their own ways of utilizing the human capital that they bring to their firms. Zhang, David Di (2010) “Reaching the Facebook generation: Exploring the efficacies of Facebook advertising methods in developing brand awareness, attitude, and purchase intention,” i-Manager’s Journal on Management. June/August Issue. Abstract: This study empirically investigates how effective are Facebook advertising methods in recruiting new customers and building relationships with existing customers. Social networking media, such as Facebook, have been commonly perceived to have the power to change marketing. However, more academic research is needed to examine how these new media function. Using an experimental method, this study contrasts the effectiveness of two common Facebook advertising methods – a branded game application, and a branded fan page. We expected branded game applications, being fast, fun, and yet transient, would be effective in attracting new viewer interests, and raising brand awareness, whereby helping to recruit new customers; vis-à-vis a fan page strengthens relationship among existing customers who are already familiar with the advertised brand. Surprisingly, we found the fan page failed to enhance our subjects’ perceived brand advantage for a well known brand, while both methods were relatively effective in raising subjects’ brand awareness and purchase intention for an unknown brand. This result might be specific to our college student subjects. Generalization is not recommended. Considering, however, that college students are typically Facebook users, our finding has significant implications for marketing practitioners. Sivaramakrishnan, Subramanian, Marjorie Delbaere, David Di Zhang, and Edward Bruning (2010), “Critical success factors and outcomes of market knowledge management: A conceptual model and empirical evidence,” International Journal of Knowledge Management, 6(3), pp. 1-21. Abstract: In this paper, we examine critical success factors and outcomes of market knowledge management. Using data collected from 307 managers in 105 businesses across Canada, we show that a firm’s extent of information technology adoption, its analytical capabilities, and its market orientation are critical success factors for the firm’s market knowledge management. Financial performance is realized from market knowledge management, mediated by customer satisfaction and customer loyalty. Implications of results and avenues for future research are discussed. Swanson, Lee and David Di Zhang (2010), “The social entrepreneurship zone,” Journal of Nonprofit & Public Sector Marketing, 22(2), pp. 71–88. Abstract: Social entrepreneurship is still in the developmental stage as a field of inquiry. In this paper we introduce the concept of the Social Entrepreneurship Zone. This new construct positions social entrepreneurship relative to the ways organizations plan to implement social change and the degrees to which they apply business practices to do so. Two new categories of organizations, Social Transformation Entrepreneurial Ventures and Social Improvement Entrepreneurial Ventures, reside in the Social Entrepreneurship Zone. This categorization separates social entrepreneurial ventures into two distinct groups with their own unique set of characteristics. The Social Entrepreneurship Zone construct should help researchers and other stakeholders better understand this emerging field so it can be further studied and developed. Abstract: This research project is a follow-up of one our previous project supported by PSSHRC. This project will further examine and develop insights generated from our pilot study and investigate 1) whether the synergy between business practices and social objectives exhibited in not-for-profit organizations also exists in for-profit commercial businesses; 2) whether this synergy provides different benefits to NFP organizations than it does to commercial businesses. Abstract: The main objective of this project is to initiate dialogue and collaboration between researchers and participating Aboriginal communities to create and disseminate meaningful new knowledge on Aboriginal entrepreneurship. Serving as a pilot study of a larger project, this study intends to document the entrepreneurship experience of select Aboriginal communities in Northern Saskatchewan. Abstract: This project intends to investigate the viability of branding food and bioproducts produced in Saskatchewan, such as Saskatchewan Wheat vis-à-vis Alberta Beef. Specifically, this project seeks to find the answers to a) What Made in Saskatchewan should mean; b) What would consumers think about Made in Saskatchewan; and c) What the benefits of branding Made in Saskatchewan are.